Microgravity can be achieved by different means: drop towers, parabolic flights, or Space based platforms like satellites or the International Space Station. On one hand the first two systems are low cost but have a short duration, on the other hand space based systems have longer durations but huge costs. A half way option is the use of aerodinamically designed vehicles that droped in free-fall from a balloon flying in the stratosphere can offer between 30 and 60 seconds of good quality microgravity environment for scientific purposes. 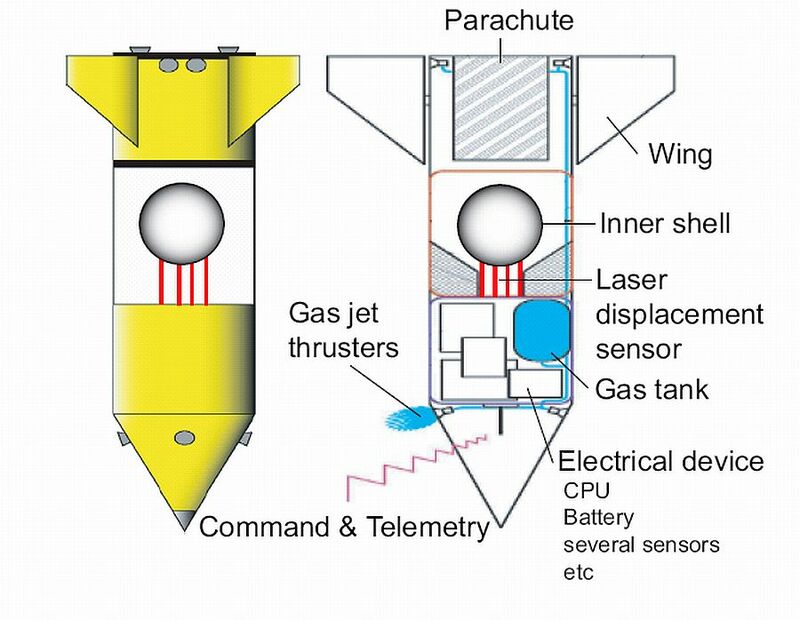 On this regard ISAS (Institute of Space and Astronautical Science, presently a part of JAXA) had developed balloon-dropped experiment systems since 1978 achieving 10 seconds of microgravity in 1983. The main setback for that project was the limitations on the balloon technology of those years. 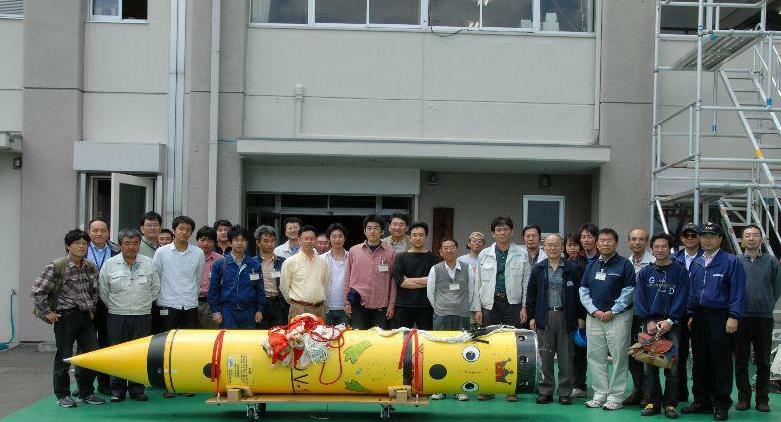 However Japanese scientists returned to this concept and developed since 2004 the Balloon-based Operation Vehicle (BOV). It consists of two main parts: a flight capsule body rocket-like shaped (outer shell) and an experiment module that floats free in the interior of the capsule (inner shell). The system is carried to the stratosphere by a new kind of balloon capable of reaching 40 kms of altitude, thus assuring 30 seconds of good quality microgravity. To allow this, the inner shell must be isolated from the outer shell so no disturbance forces work on it during the free-fall. At left can be seen a detailed scheme (click to enlarge). 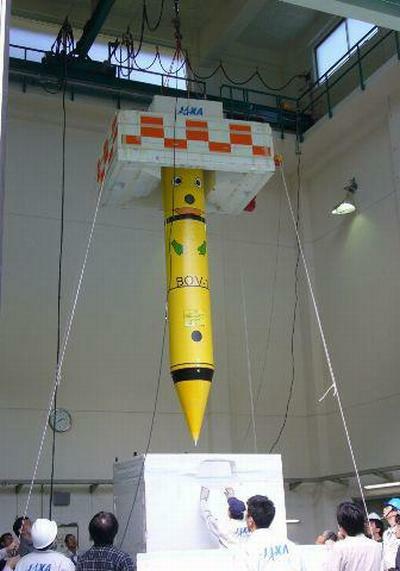 BOV measures four meters of length, 0.55 mts of diameter and weights 310 kgs. As can be seen in the image it have a rocket-like shape to reduce aerodynamic disturbance. The inner shell can fall freely since the outer shell measures it's relative position with laser displacement sensors activating several gas-jet thrusters to avoid any colition with it and let him free from the dynamic pressure and other aerodynamic disturbances. As Air drag is almost proportional to the square of the velocity and also proportional to the air density, to achieve 30 seconds of microgravity duration, 100 Newtons of thrust are required. Therefore, the body have 16 cold gas jet thrusters, four of them located in the front and the remaining twelve in the rear. This system is all managed by a Central Procees Unit running at 200MHz, Linux based and powered by lithium-ion batteries (12V and 24V). This CPU stores house-keeping data as temperature, acceleration, tank pressure and so on and also transmits it to the ground via a telemetry link. Four video cameras are located in different BOV parts to obtain images of the experiment and location of the inner shell as well a downward external view. In the middle of BOV's body, there are four laser displacement sensors to measure clearance between the inner shell and the outer shell. 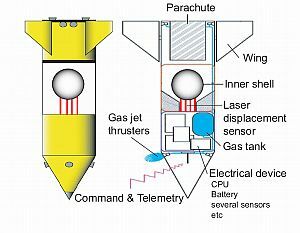 This system estimates the center position of the inner shell by the Newton-Raphson method and proceeds to fire the thrusters to correct the outer shell location to maintain it isolated from the inner shell. Attitude control is also necessary to maintain stable micro gravity experiments, so there are three fiber optical gyros to measure the body attitude ans send to the thrusters the correction firings. To realize these corrections each of the 16 thrusters are commanded to be fired as required using a distribution matrix calculated from the relation between each thruster's force and the total force and torque output that actuates on BOV's body. Inside the inner shell there are space to allocate the microgravity experiment payload. Since the experimental module is isolated from the data handling and communication components located on the outer shell, telemetry data such as video image or accelerometer output is transmited internally through a wireless system which also is used to transmit commands to the experimental module. To reduce the power consumption all these commands are transmited by infrared communication. Plans of future development of the system include the addition of an air-breathing engine called "S-Engine" which currently is being developed by JAXA. This higher thrust propulsion system is essential to compensate rapidly increasing air-drag. This will allow to achieve up to 60 seconds of microgravity in the future. 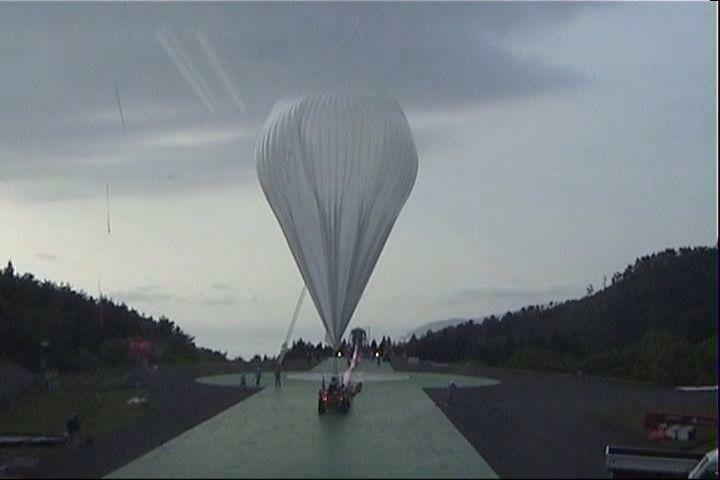 The balloon was launched by semi-dynamic method on May 27, 2006 at 6:04 local time. 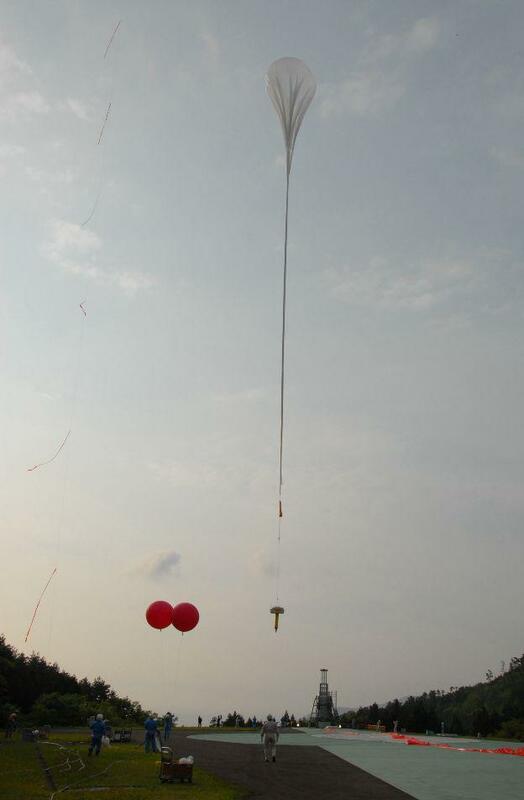 After a nominal ascent and a displacement to the east over the sea, the balloon reached flight altitude of 41 km. After that it started a westward path until a command was transmited to let free the microgravity experiment which started a free fall. Ten minutes later the balloon was destructed and fell also to the sea. The experiment was recovered with help of a ship and an helicopter from the sea. 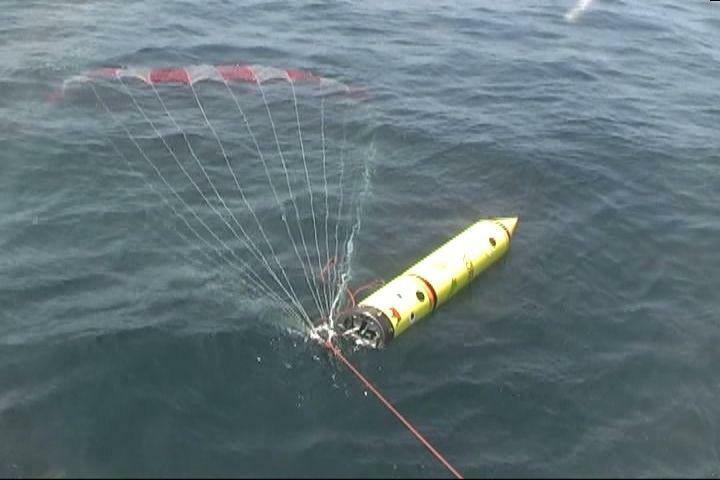 The first capsule flight nomenclated as BOV-1 was aimed to perform a functional and operational test of the whole system ncluding long-distance communications, thermal conditions at high altitude, onboard electronics performance, drag-free control system, and the retrieval of the capsule from the sea using a ship and an helicopter. This was also a flight test of the newly-developed "capped" balloon which uses multi-layer film on the top in order to lift heavy payloads to higher altitudes. It was originally scheduled for August 2005 but due to bad wheather conditions, the flight was postponed to May 2006. This first capsule model had not control wings as long duration micro-gravity was not expected (20 seconds at longest). The payload inside the inner shell, a microgravity experiment consisting of a bubble moving between two liquid layers with different surface tension. BOV project website at Sawai Lab.